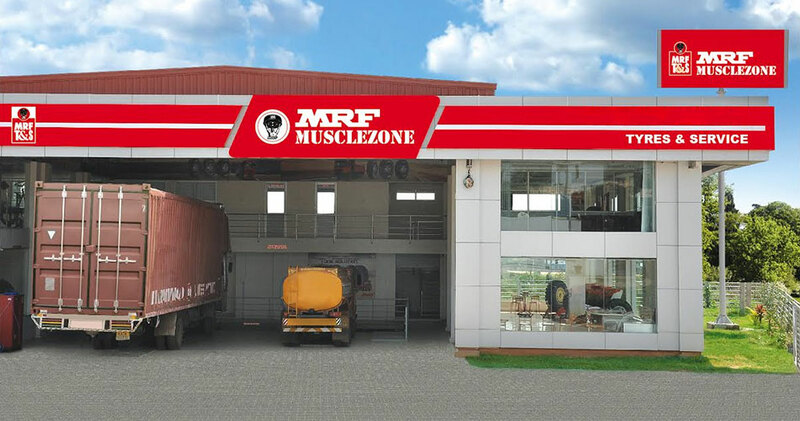 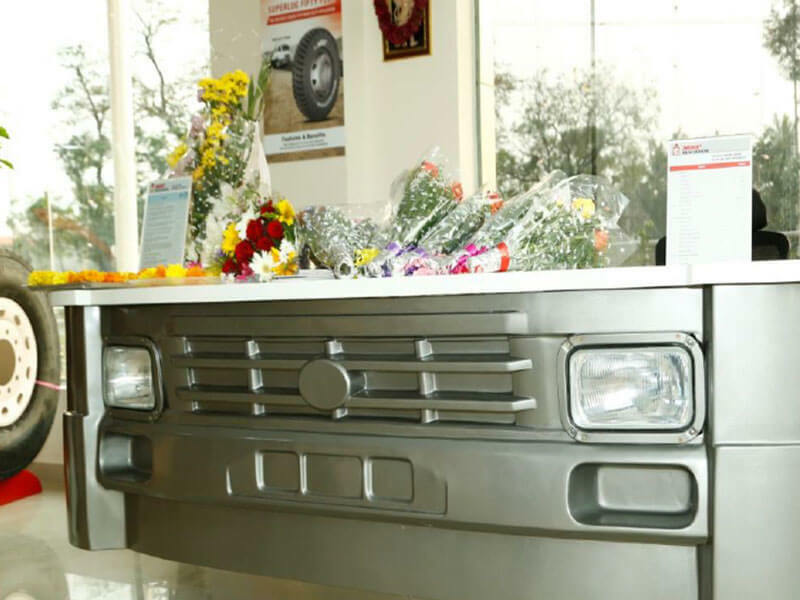 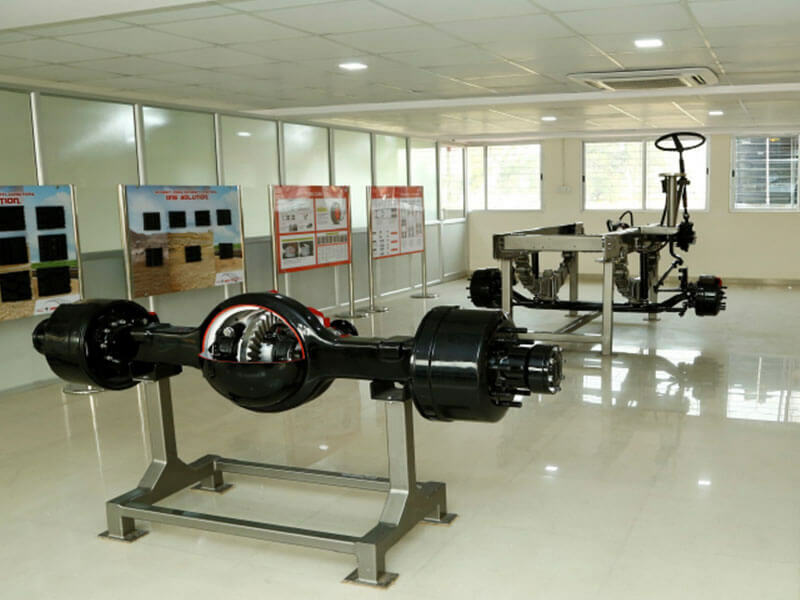 MRF MuscleZone is a unique, state of the art facility with high-end machines to serve commercial vehicles. 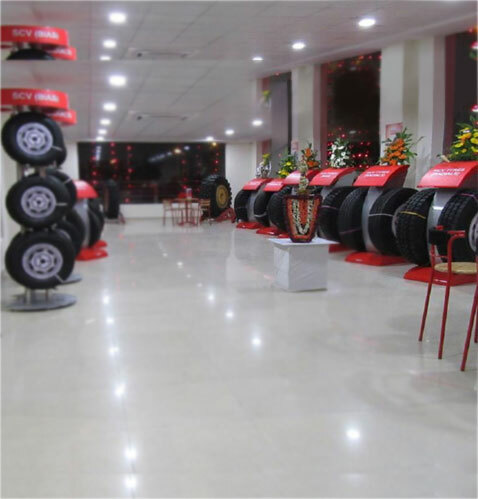 It has exclusive offerings like Product-O-Drome and a product lounge where customers can learn about the tyres they buy and at the same time, access the entire range of commercial and passenger tyres. 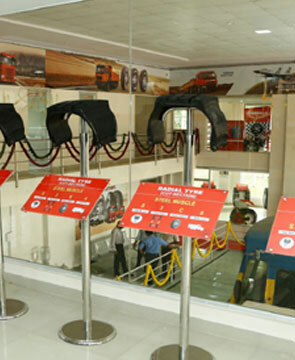 With help of complete automation of transactions, you are assured of transparency at every step. 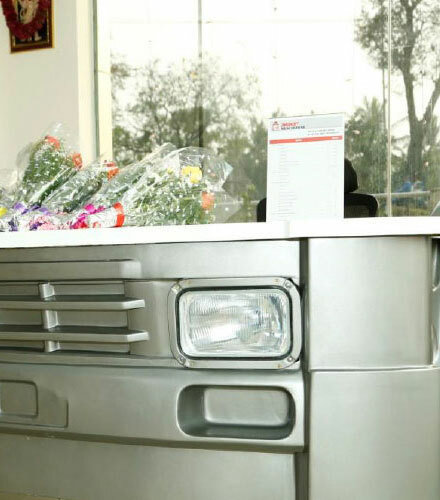 While your vehicle is getting serviced, you can relax at a luxurious, glass-enclosed lounge. 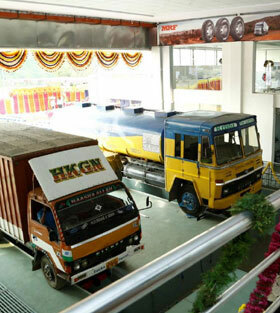 This overlooks the service bay, giving you a full view of the processes being carried out. 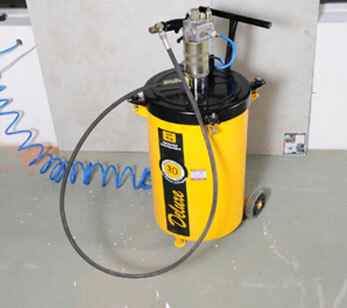 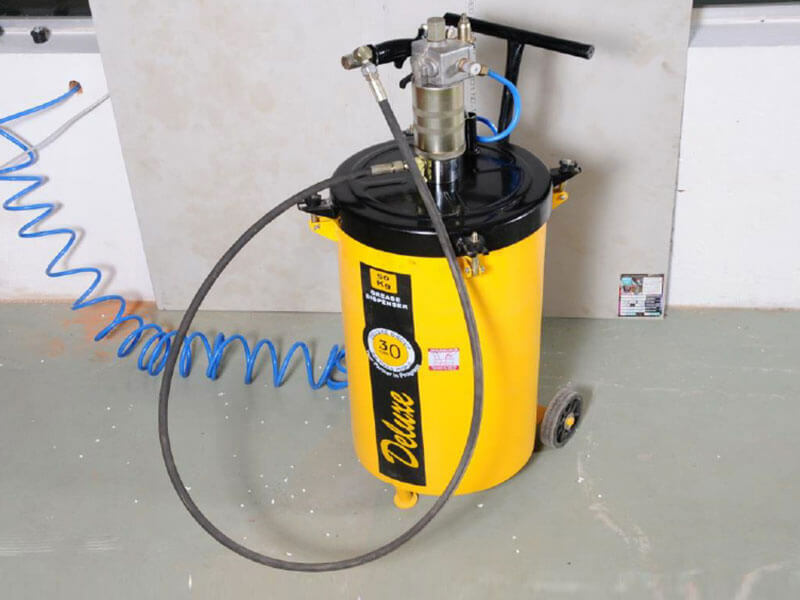 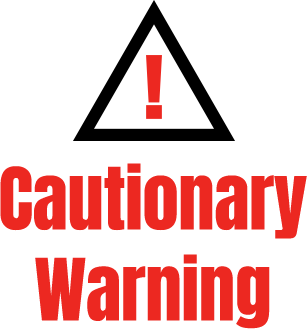 If you have any doubts, our highly-trained staff will be happy to clear them for you. 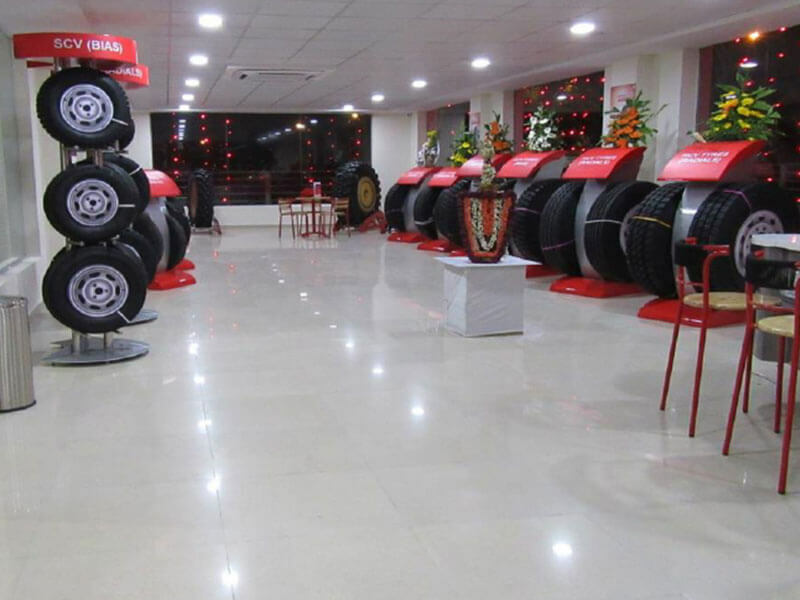 Also, you can access and know more about the complete range of MRF passenger and commercial tyres. 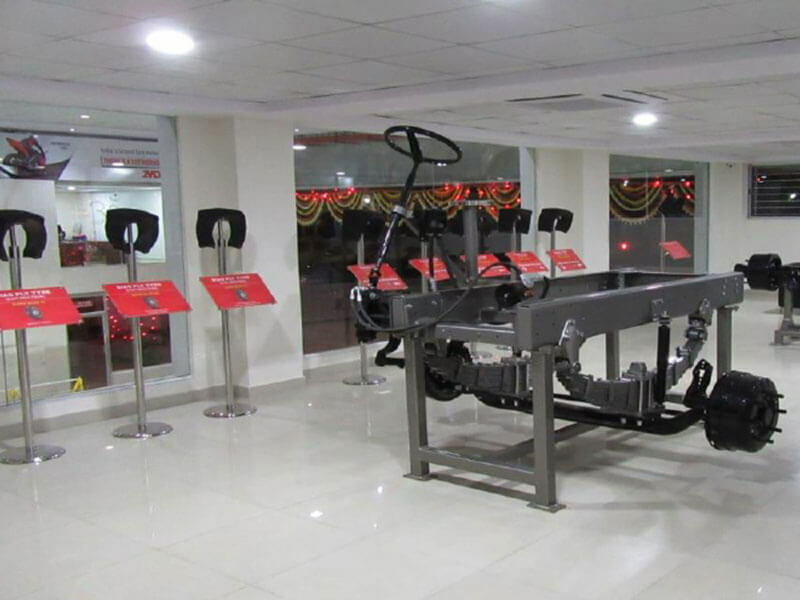 At the MRF MuscleZone, we only use the best and latest imported machinery, to ensure class-leading service quality and results. 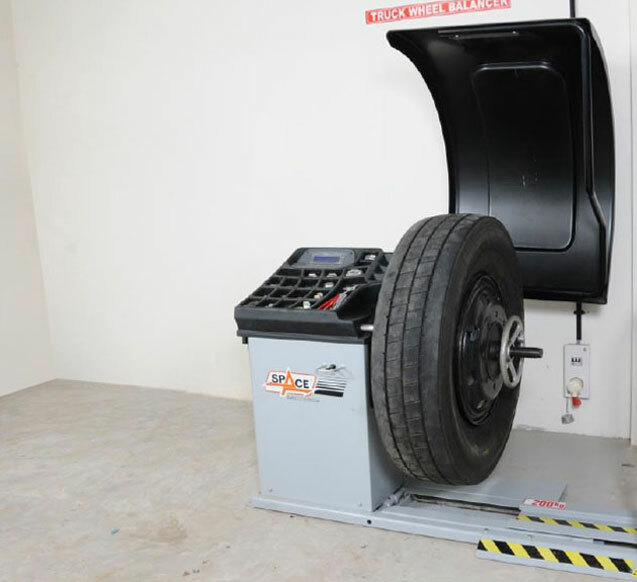 Whether it is wheel balancing, alignment or replacement, the MRF MuscleZone is fully equipped to handle all your tyre care needs. 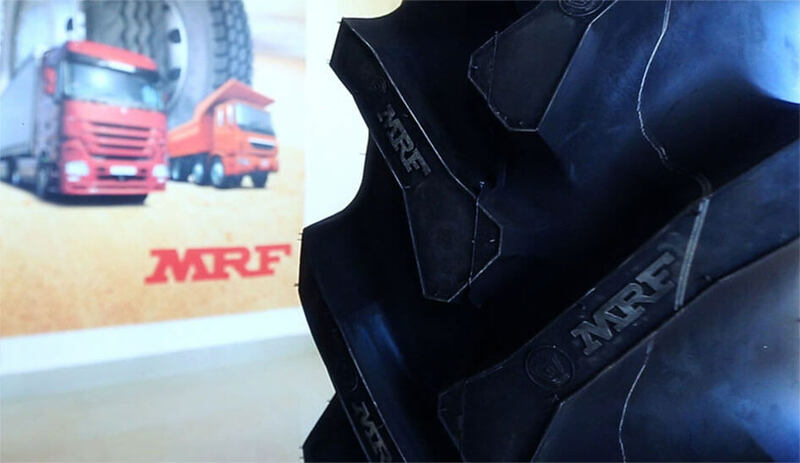 This is a never-before-seen feature, available only at the MRF MuscleZone. 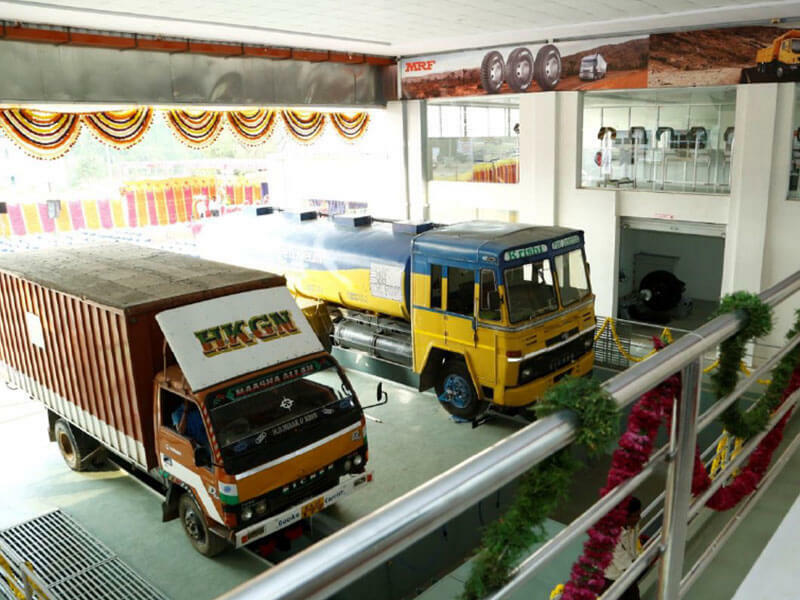 Commercial vehicle tyres require a lot of care and attention to maintain, which is why we have created a specialised learning platform for you. 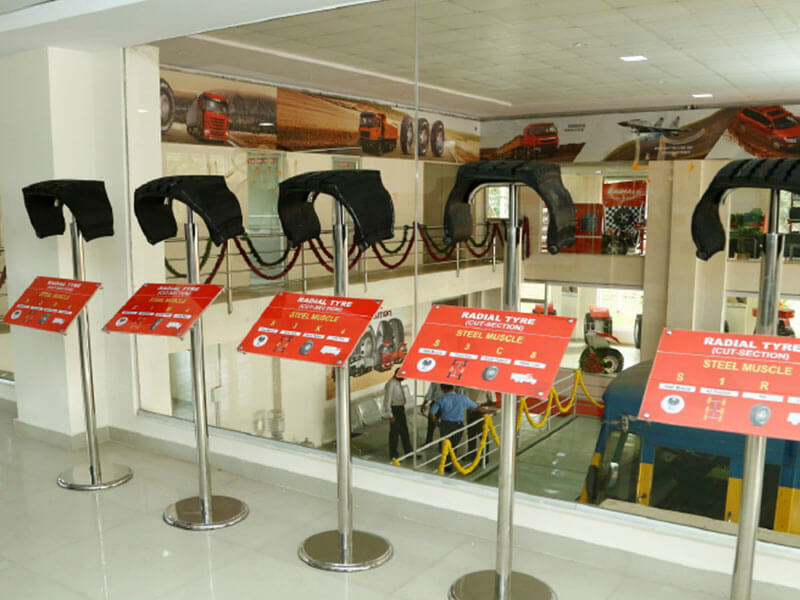 Complete with models and cutouts of all our commercial vehicle tyres, the Product-O-Drome is where you can learn everything there is to know about the tyres you buy. 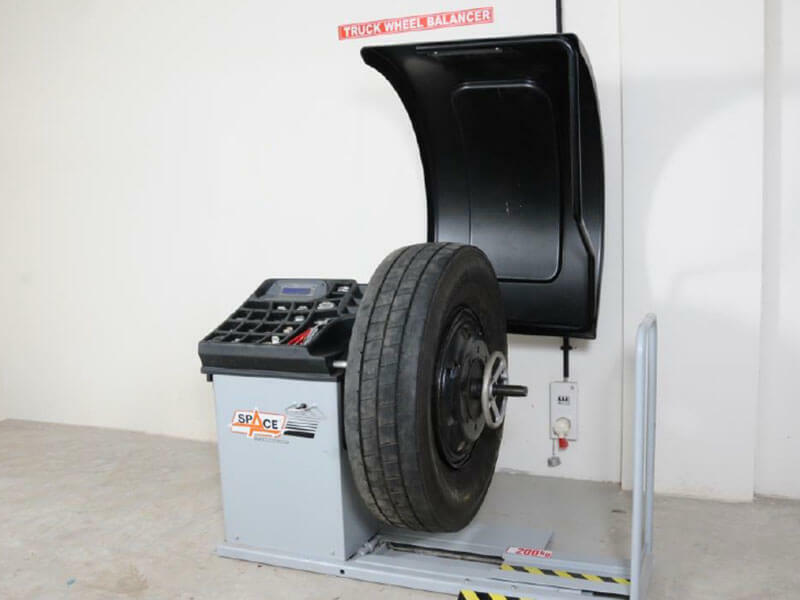 Find out an MRF MuscleZone in your state and city. 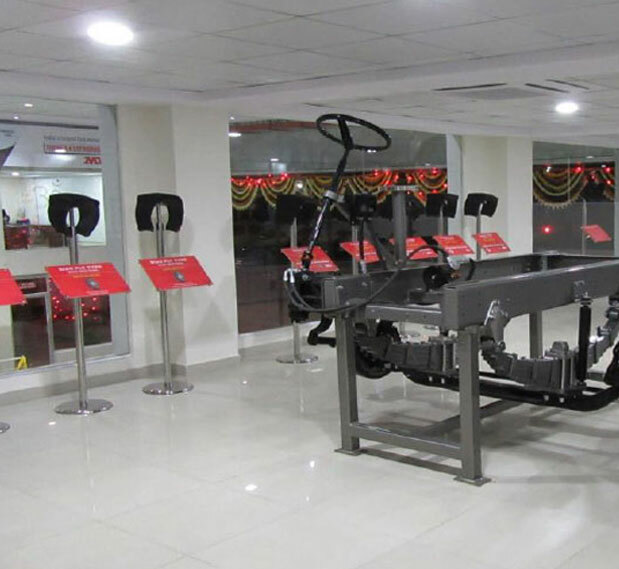 Here's a walkthrough of the first MRF MuscleZone franchise in Dasanpura, Bengaluru.